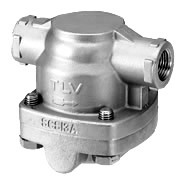 The valve opening is under a continuous water-seal, so no steam can escape through the valve. 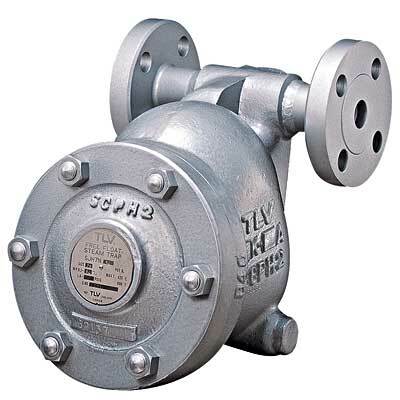 In the case of small condensate loads, such as in superheated steam lines, the Free Float’s 3-point seating holds the float tightly against the valve opening to ensure that no steam is allowed to escape. 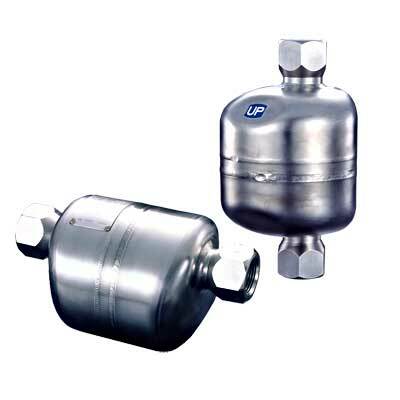 The automatic air vent design opens the air vent valve at start-up to discharge any low temperature air inside the system. This prevents air-binding, which can be caused by initial air. 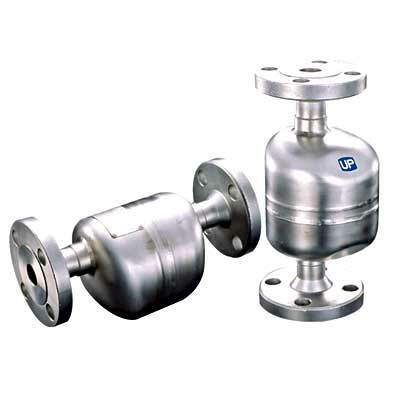 The spherical Free Float® rotates during operation, allowing any point on its surface to act as the valve seal and thus ensuring long service life. Steam main lines, steam headers, tracers, etc. 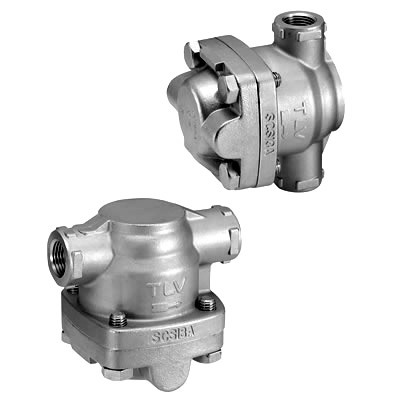 This guide shows the most suitable TLV steam traps for an array of applications. 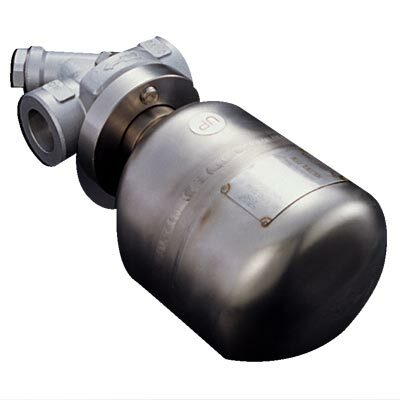 Start by selecting an application from the drop-down menu at the top, then search for your desired operation principle, pressure category, and other special features to find the right steam trap. *1 Operating pressures vary between different models of the same series. For details please refer to individual Specification Data Sheets (SDS). *2 Except P46S and P21S ver.C. *2 Operating pressures vary between different models of the same series. For details please refer to individual Specification Data Sheets (SDS). 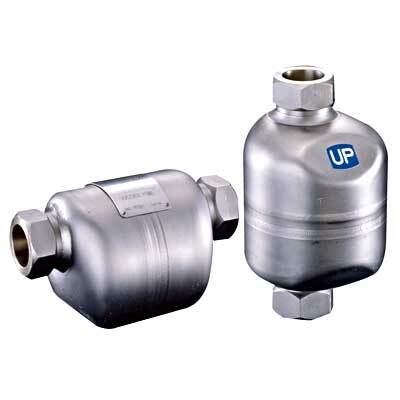 *3 "Stall" is a phenomenon where the internal pressure of an equipment falls below the back pressure on the outlet side, resulting in back-up of condensate that cannot be discharged by conventional steam traps. 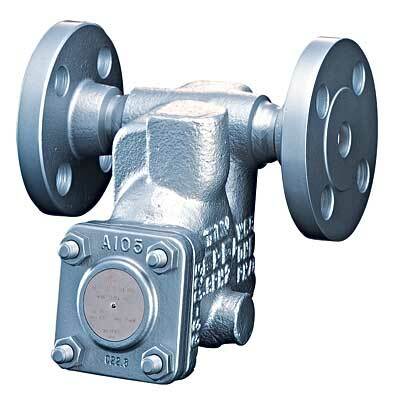 "Stall" can cause damage such as uneven/incomplete product heating, corrosion and waterhammer.